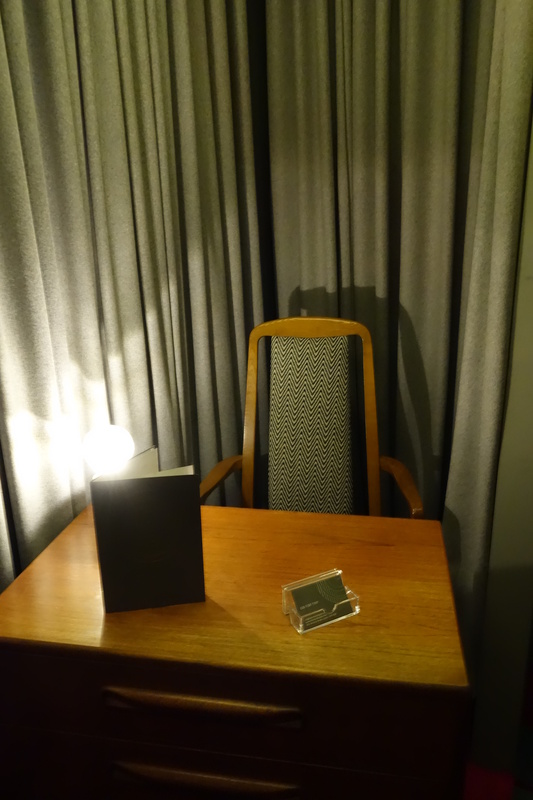 London – have I got a treat for you. 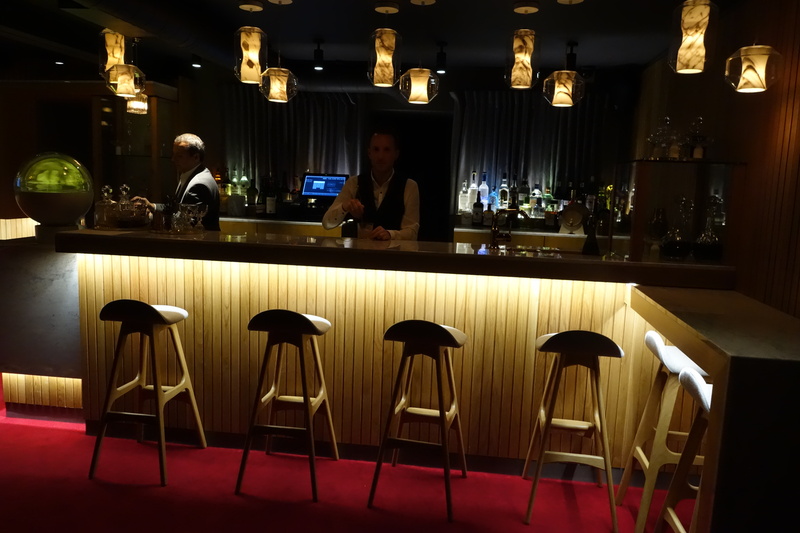 I was so excited to come home and write up this post because I’ve just come from the incredible soft opening for the Old Tom and English, a new restaurant opening up on Wardour Street in Soho. In contrast to the ‘no-reservations’ policy of many popular restaurants these days, the Old Tom and English take a much more civilized approach, with quite the opposite policy: they take reservations only. 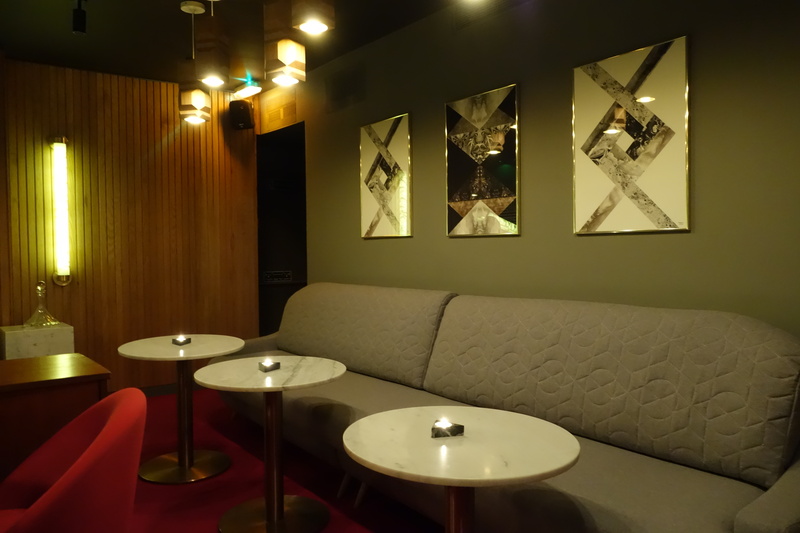 Personally, I’m a fan of this – you can enjoy your meal without the curious eyes of the next party angling for your seat, as well as getting the ‘private members club’ feel without the extortionate membership fees. 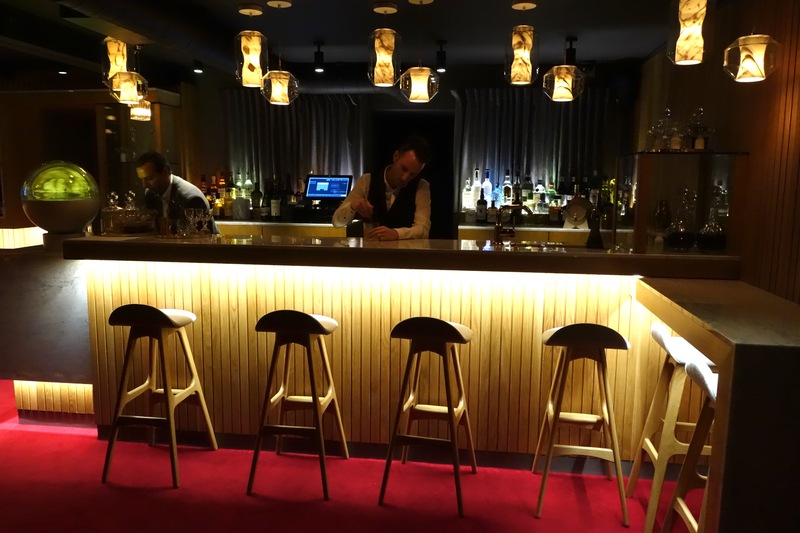 Through a speakeasy-style front door, you are led downstairs to a charming bar and dining room done up in exquisite ’60s style, with little alcoves for a few parties who might enjoy a little privacy. My date for the evening was the lovely Joy from the Joyous Living, and we both remarked on how it would be an amazing place for a romantic date – the sharing plates and soft lighting in particular. 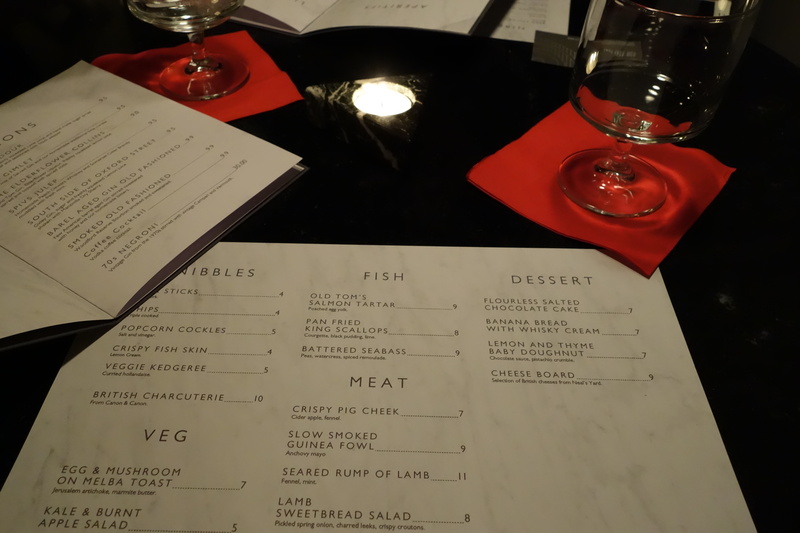 So far, so good – we were really impressed with the ambiance of the place, and we’d hadn’t even looked at the drinks menu yet. For those of you who might not know, the ‘Old Tom’ refers to a particular gin recipe – or the Cockney rhyming slang for prostitute (perhaps the cheeky pun is alluding to the reputation of its location in Soho?) 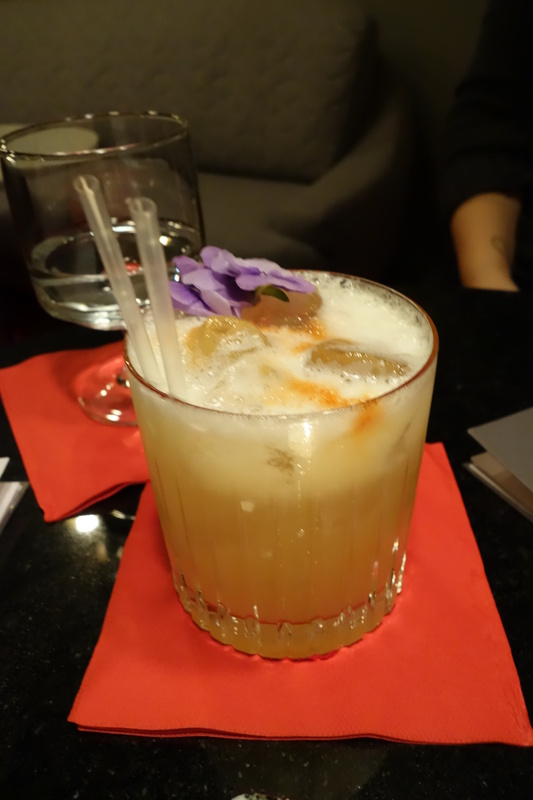 As someone who is obsessed more than a little partial to a nice gin, I was really impressed with their cocktail menu, of which there are several containing my favourite spirit. 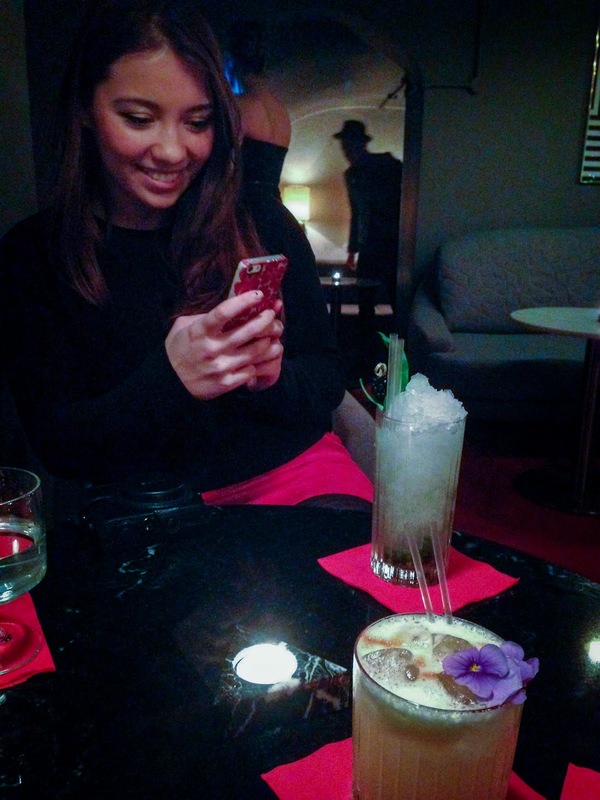 I found a kindred spirit in Joy, who is also a gin fan, and we started off with a Wardour (for me) – a gin cocktail infused with basil and black pepper, and the South Side of Oxford Street for Joy, a gin and sherry cocktail which were both amazing. The Old Tom and English specialise in sharing plates, or an English take on tapas. Coming from a Japanese family, where eating ‘family-style’ is a massive part of the culture, I love sharing plates, and Joy and I ordered several between us. 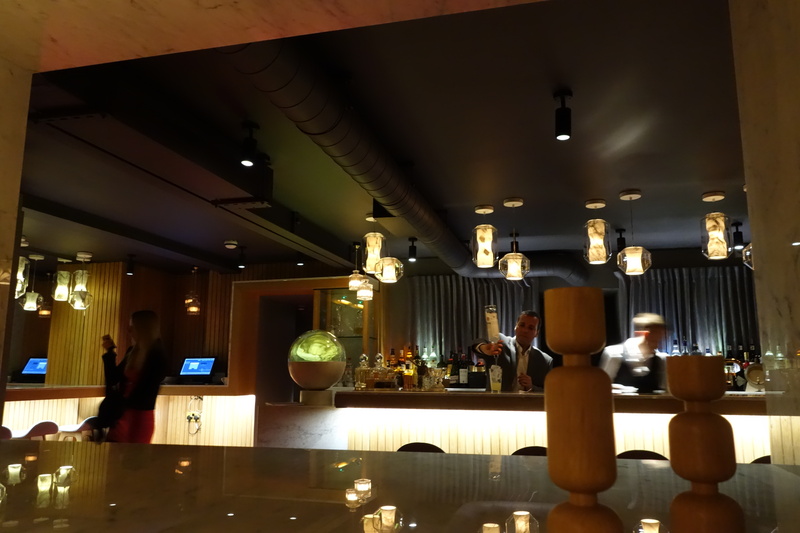 For an extremely new restaurant, and despite the fact I hadn’t called ahead to enquire about anything gluten-free, the staff at the Old Tom and English were amazingly accommodating and helpful – the service was spectacular. Our waitress was really attentive, and I really felt looked after – which is something you definitely want if you have an allergy or an intolerance of any kind! Everything I tried was gluten-free – anything that wasn’t I’ll mark with a *. 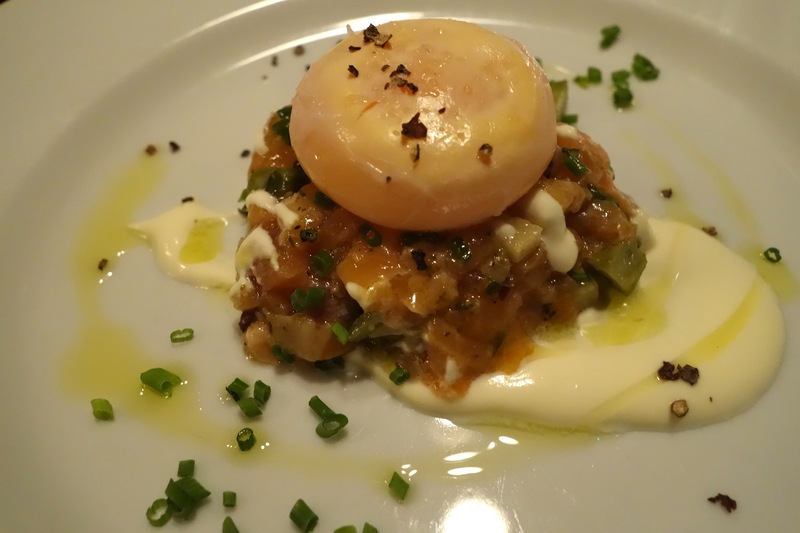 Our food came in waves – we started with the beer sticks, Old Tom’s salmon tartar with poached egg and pan-fried kings scallops with courgette and black pudding. 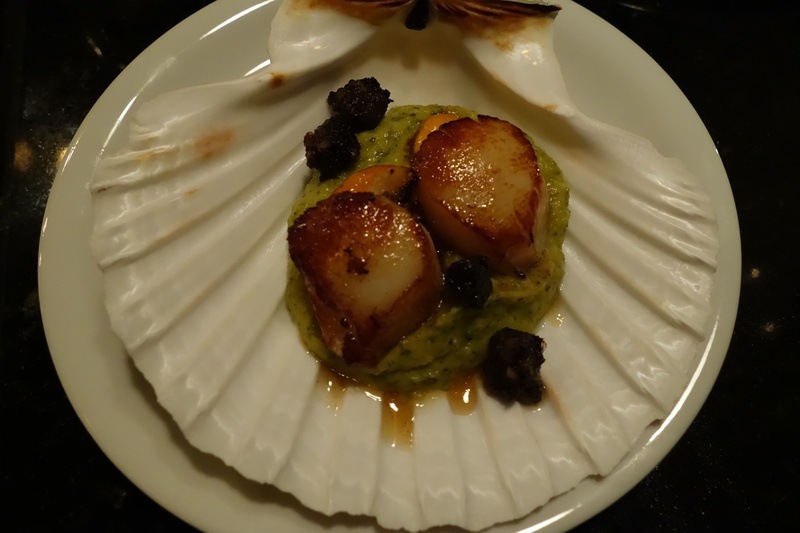 It was incredibly hard to decide which dish was my favourite as they were all virtually faultless, but I was extremely fond of those scallops, which were really flavourful. They even impressed Joy, who by her own admission isn’t the biggest fan of the mollusc. 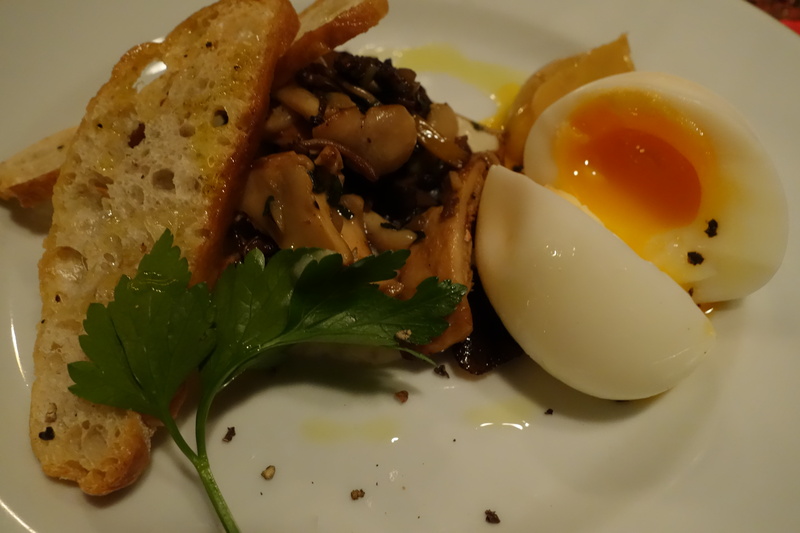 These were followed by the egg and mushroom on a bed of pureed jerusalem artichoke, with a touch of marmite butter. This was served with melba toast*, but can be served without. Although braised gem lettuce with anchovy and garlic might not seem like the most exciting thing in the world, even this defined the word umami for me. 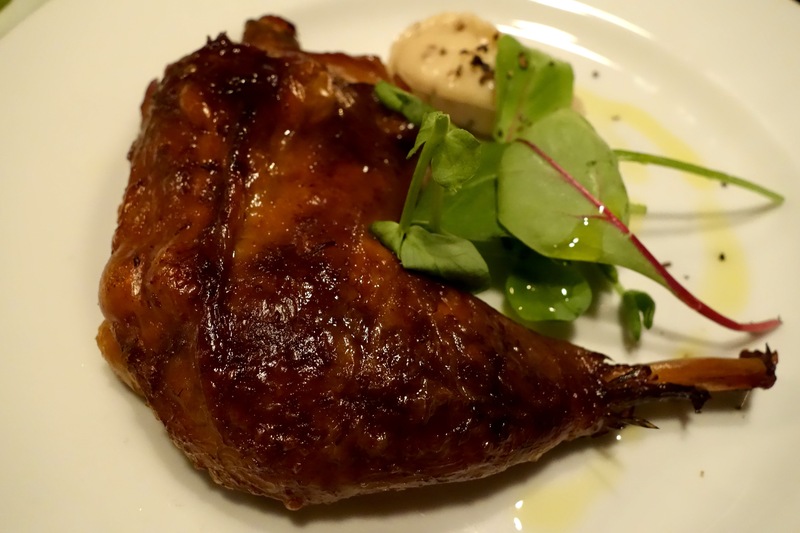 My second favourite dish was the slow smoked guinea fowl with anchovy mayo. The skin was light and crispy, yet the meat fell off the bone – the slow cooking and smoking technique they used made this dish really memorable. Our final two savoury dishes were the triple cooked chips and the smoked wood pigeon. 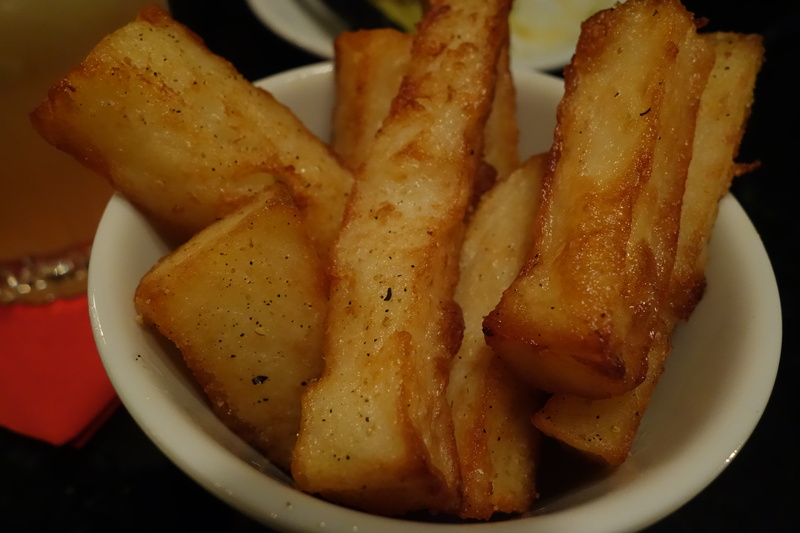 I’d never quite understood the appeal of triple cooked chips before, but these were so light – almost like tempura. 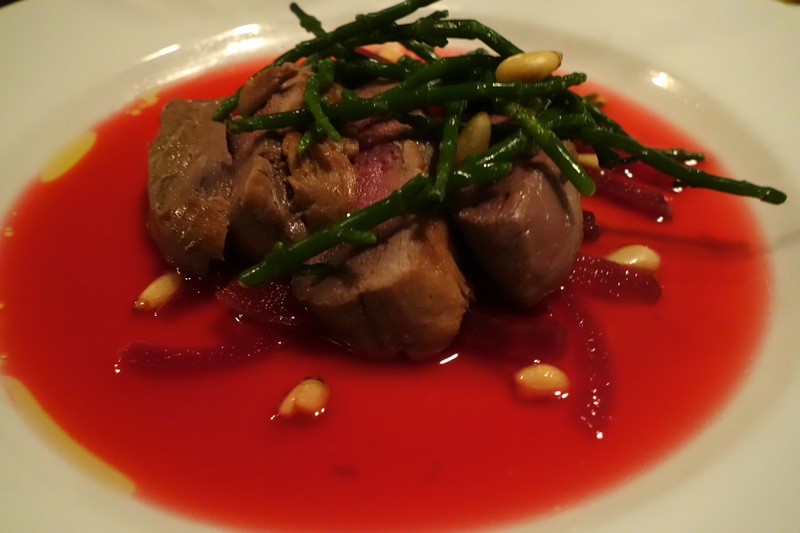 The wood pigeon was served rare with some grated beetroot and samphire. At this point, we were well and truly stuffed – but couldn’t resist another cocktail: a fragrant elderflower collins for me, and the OT&E gimlet for Joy, as well as a look at the dessert menu. 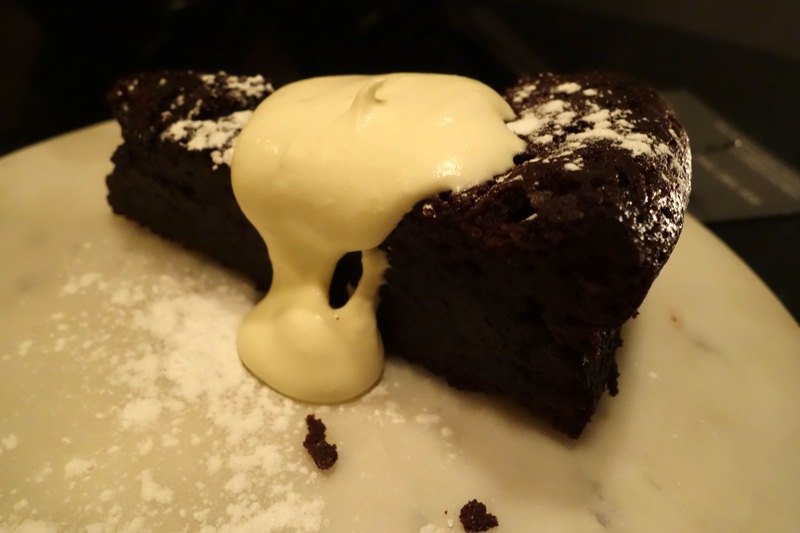 Not a massive fan of chocolate, or cake, I was really impressed with the flourless chocolate cake – it was deliciously rich and simply delectable. 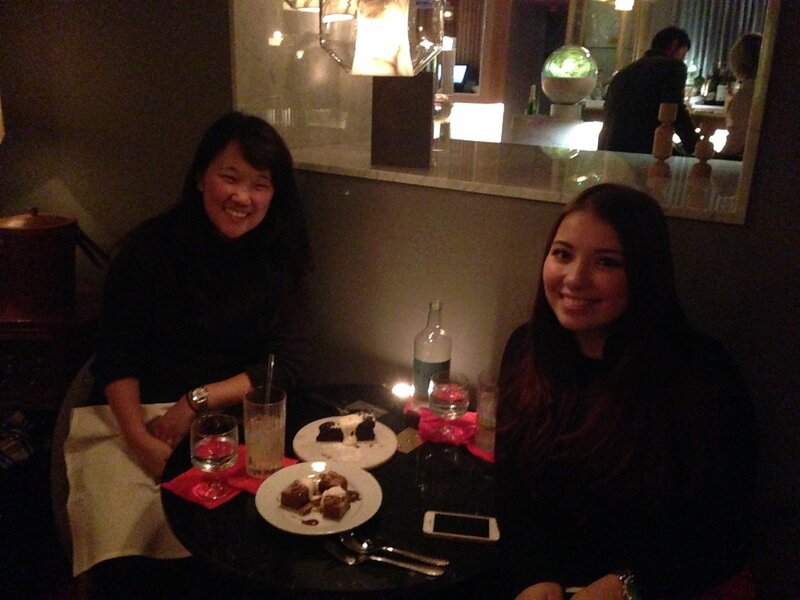 Joy sampled some of the other desserts on offer – including the banana bread and lemon and thyme doughnuts. The only fault I heard all evening was the fact that Joy found the cream slightly too rich for the banana bread, but the dessert menu certainly didn’t disappoint. Without a doubt, this has been the best meal I’ve had out in 2014 – bravo, Old Tom and English! 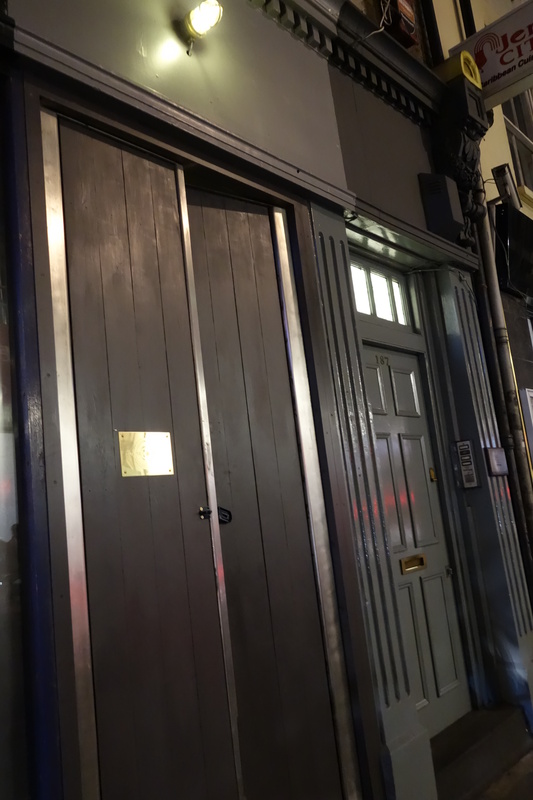 Old Tom and English is located on 187b Wardour Street, W1F 8ZB – you can book via phone 020 7287 7347 or at info@oldtomandenglish.com. Although my meal was provided free of charge, all opinions are fully my own. It was so good – you have to go soon! Speaking of gin, I’ve yet to go to the ginstitute!